Don't Fear if a CME Audit is Near! Having just come back from my 43rd AAPA conference, I am once again in awe of my PA colleagues for their spirit and dedication to expanding care for patients everywhere. I also had the privilege of addressing 94 teams of PA students at this year’s National Medical Challenge Bowl. Many of these students are getting close to graduation and their first job. The unbridled enthusiasm and knowledge in that room assures me that the future of our profession is limitless. This year’s conference had a laser-beam focus on the issues facing the profession. One of the issues of greatest interest in the House of Delegates was the concept of Optimal Team Practice (OTP), which was affirmed and is already gaining traction in some states. NCCPA supports OTP, with the caveat that certification maintenance is one measure that demonstrates that PAs are prepared to deliver care in the OTP environment. With the alternative to PANRE Pilot, NCCPA is exploring an assessment option that has proven to be of interest to PAs—with over 12,000 currently signed up for the program. NCCPA’s just-released 2017 Statistical Report of Physician Assistants shows that the number of certified PAs has grown 54% since 2010, and that millions of patients rely on us for care every week, in every specialty and clinical setting. AAPA 2018 may be behind us, but the camaraderie and resolve displayed there will carry over into the work before us this year. I have never felt more confident about the future. The NCCPA is proud to be an annual participant in the single largest worldwide gathering of PAs and this year was no different as AAPA 2018 paraded through New Orleans. Perched on the third floor of the Ernest N. Morial Convention Center, the NCCPA booth was flanked by our supporting organizations, the nccPA Health Foundation and the PA History Society. It was a tremendous vantage point for all our organizations to interact with PAs buzzing by en route to their next CME session being held all around us. As has been our tradition, the NCCPA gave away a uniquely designed t-shirt, and PAs stood in lines until all 2,200 shirts were gone. 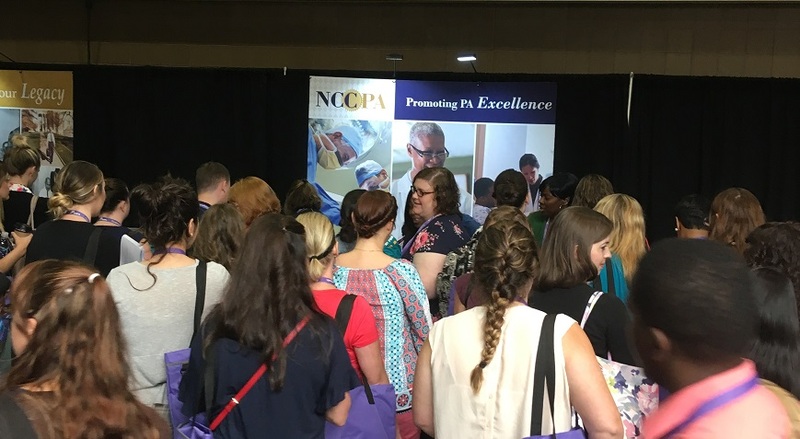 More importantly, our NCCPA booth staff answered a multitude of questions presented by the thousands of PAs in attendance. They helped PAs understand the Alternative to PANRE Pilot program, how to log CME, the CAQ program, and other questions regarding certification and certification maintenance. NCCPA President and CEO, Dawn Morton-Rias, and Director of PA Relations, Greg Thomas, gave a presentation on the positive changes coming to certification maintenance. The highlights of their talk revolved around the Pilot Program and helping PAs understand their role in identifying and defining the core medical knowledge topics that will serve as the foundation of assessment questions and the NCCPA’s content blueprint beginning in 2019. NCCPA staff also presented research on defining core medical knowledge and delivered an e-Poster on Telemedicine. The nccPA Health Foundation shared its findings on the roles PAs have in mental health treatment through an e-Poster presentation as well. The NCCPA supported the hard work and commitment of PA students through its Platinum-level sponsorship of the AAPA National Medical Challenge Bowl. This year, a record 94 teams from PA Programs across the country participated, and the University of Southern California proudly took home the trophy as the 2018 Challenge Bowl winners. The NCCPA also sponsored the PA Foundation’s “Party for a Purpose” and “Pacers for Health 5K Fun Run/Walk” activities. The NCCPA is passionate about the PA profession and we look forward to seeing you next May at AAPA 2019 in Denver, Colorado! Peggy Riley Robinson, MS, MHS, PA-C, has served on the National Commission on Certification of Physician Assistants Board of Directors since January 2014. In her capacity, she has chaired the Review Panel and served on the Finance and Nominating Committees. Peggy is a graduate of the Duke University PA program and is currently an Associate Professor in the Department of Community and Family Medicine at Duke University Medical Center. She practiced Family Medicine for 20 years and is now the Director of Curriculum for Duke’s PA Program. For the past three decades, she’s spent much of her career educating the next generation of PA clinicians and leaders. Peggy’s work has been published in several peer-reviewed medical journals such as the Journal of the American Academy of Physician Assistants, the Journal of Clinical Microbiology and the Journal of Physician Assistant Education. Outside of work, Peggy has actively participated in the Federation of State Medical Boards (FSMB), the North Carolina Academy of PAs, the Physician Assistant Education Association (PAEA) and was a member of the North Carolina Medical Board (2006-2012). She’s been recognized as Duke University’s School of Medicine Master Clinician/Teacher, PAEA’s Master Faculty Recipient and Duke University’s Richard J. Scheele Memorial Award recipient for outstanding academic performance. Earlier this month, Peggy was honored to receive the Duke University Distinguished Faculty Award. Peggy lives in Durham, North Carolina; she has a son and daughter (and soon a grandson!). She loves to read, especially mysteries. Sarah Adamson, PA-C, began PA school filled with over a decade of exposure to the profession through her mother, Kathy Adamson, PA-C and NCCPA’s medical advisor. Unlike most students who were first introduced to the career field as college students, she absorbed the benefits of the profession while growing up. Sarah gained firsthand knowledge by observing her mother’s involvement not only in clinical practice, but also education and various professional organizations. By her senior year in high school, Sarah cemented her decision to become a PA. While an undergrad in Neuroscience at Baylor University, she accompanied her mother on medical missions and trips to NCCPA and professional conferences, and knew that she wanted to emulate her mother’s high standard of success. 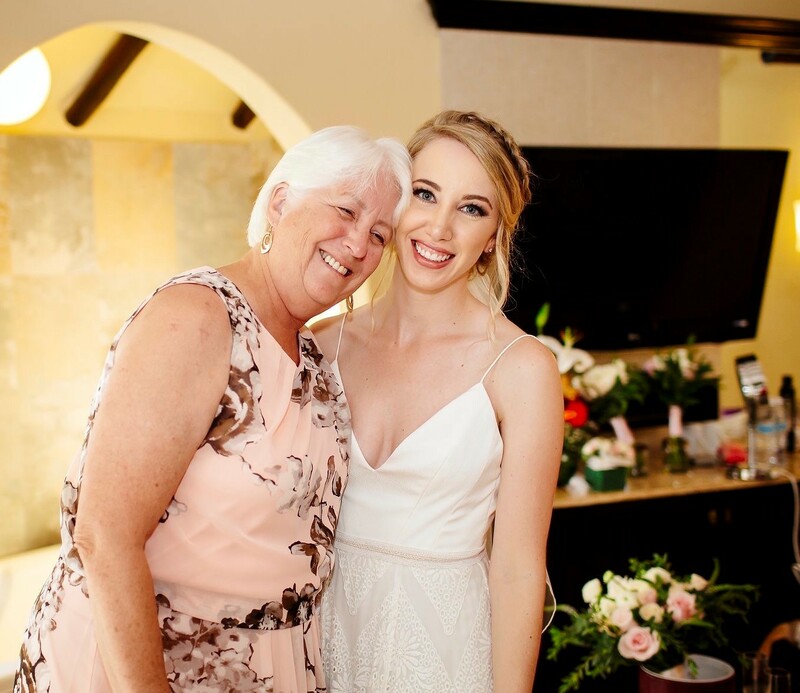 Now as a Hospitalist PA at Scott and White Memorial Hospital, Sarah credits her mother for always keeping her focused on the moral obligations she has to patients and the profession. Kathy said she couldn’t be more proud of her daughter’s accomplishments, and also recognizes her husband for making an indelible impact on Sarah’s decision. “Her dad is also a PA so she is the subject of double influencers,” Kathy said. In second grade, Josephine Reyes faced a hefty, but common question asked of many students: What did she want to be when she grew up? For a student with two parents practicing as PAs, there was no doubt about what she’d choose. But as she aged, Josephine considered a number of other career options including teacher, pharmacist and dentist, before finally settling on becoming a PA after a high school experience volunteering in a local emergency room. “After seeing and researching all of the work PAs do, I knew this was my calling,” she said. Now a third-year student in the Wagner College PA Program, she’s following her own ambitions with the support of her family. 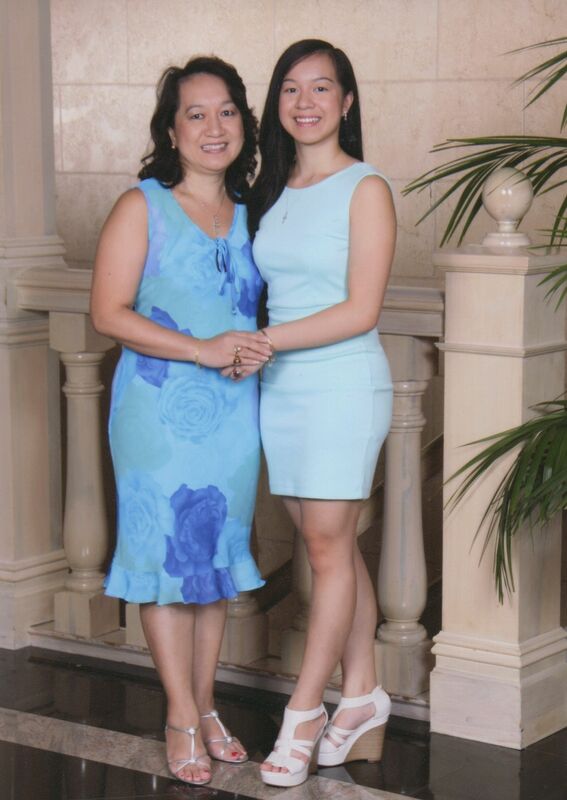 Her mother, Macrina Reyes, has been a practicing PA for over 30 years and currently works as a Hematology/Oncology PA at Northwell Health at Staten Island University in New York. To say she was happy about Josephine’s decision would be an understatement. Now three years into her program, Josephine is pleased with her decision to become a PA and confident about taking on the next high-stakes event in her life – passing PANCE. More than 12,000 PAs whose certifications are due to expire at the end of 2018 and 2019 have registered for the Alternative to PANRE Pilot program. Want to know what all the excitement is about? Read about the benefits of the Pilot program and eligibility requirements here. If you are interested in taking the Pilot, apply by June 30 at your online record at www.nccpa.net. Of course, PANRE is still an option. The last day this year to take PANRE is Dec. 17. For information on PANRE and to apply, go to https://www.nccpa.net/panre-eligibility. You’ve completed your PA program, passed PANCE and have received your license to practice. Everything you’ve done to date has been leading up to this moment - the job interview. While securing your first position as a certified PA may seem like a breeze, not properly preparing for the interview could leave you out in the cold. To ensure that your next job interview gets a clean bill of health, we’ve compiled five tips to help you land your next job as a Certified PA.
Research the practice or hospital prior to your interview. Visit their website to familiarize yourself with the organization’s structure and any affiliations that they may have with other hospitals, health systems and/or medical schools. What is your approach to interacting with families and patients? How do you handle difficult personalities in the workplace? In your responses, be sure to focus on your successes and your readiness. Reiterate why you’re the right candidate for the job. If possible, do mock interviews with someone in the profession to get feedback prior to your interview. While the potential employer may not ask for them right away, bringing copies of your licenses and certifications to your interview shows initiative. If you’re looking to impress, be sure that you bring any relevant documentation of your experience and qualifications to the interview. Don’t be coy about wanting the position. Potential employers want to see your passion for the work, the practice and the patients seeking care. To land the job, be confident and demonstrate your interest by sharing how your skills set and expertise will align with their programs. Use your questions to help you to further determine if the position is right for you. Looking for a position as a certified physician assistant? Check out our PA-C Career Center! If you’ve been selected for a CME audit—Don’t Panic! 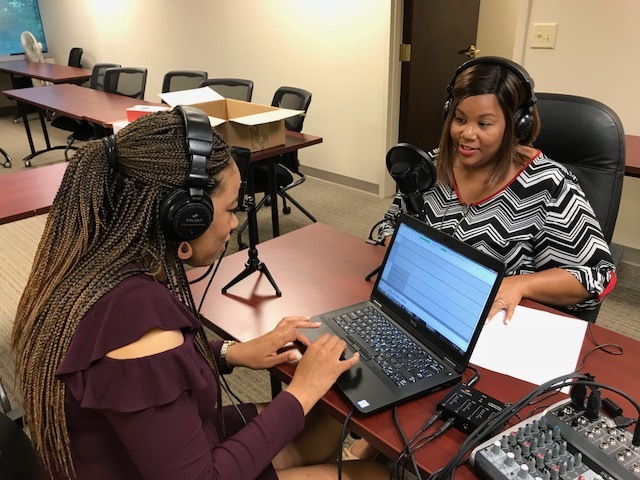 Our next podcast will answer the five most common questions about the auditing process and what to expect as part of the 5 Answers from NCCPA podcast series. Check out more from us by listening to podcasts on the PANRE pilot and How to Prepare for PANCE. You can also download these podcasts from iTunes or Google Music Play on your mobile device. The nccPA Health Foundation is recruiting for one new Board member whose term would begin in 2019. If you’re passionate about certified PAs improving heath, learn more about this opportunity and apply today. Learn more about serving on the Foundation Board in our Information for Prospective Candidates and submit requested materials by Monday, July 16, 2018. Questions? Email Tiffany Flick at tiffanyf@nccpa.net. The Foundation will review candidates and may conduct telephone interviews with top candidates later this year. The new Foundation director will be elected by the NCCPA in November, and the election’s outcome will be announced no later than December. The elected director will begin his/her service to the nccPA Health Foundation on January 1, 2019. Stay up-to-date with all the Foundation’s latest news and opportunities by connecting with us on social media. Please be sure to “like” the nccPA Health Foundation on Facebook and follow us on Twitter. 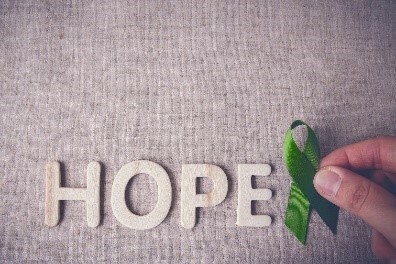 May is Mental Health Awareness Month and a perfect time to celebrate the PArtners in Mental Health Initiative. More than 123 million Americans live in mental health shortage areas where it is difficult to access care. At the nccPA Health Foundation, we believe PAs are an integral part of solutions to address mental health needs. Earlier this year, the Foundation launched a $1,000 mental health community outreach grant to support certified PAs and PA students in designing activities that leverage their mental health knowledge and skills. Projects should promote prevention, raise awareness, and/or foster education and treatment; and applications are considered as received. Learn more and apply for funding to address a need in your community. Additionally, follow the Foundation on Facebook and Twitter to share ideas about how to raise awareness of mental health in your practice, PA program, or community and keep apprised of our efforts! Last year, the Foundation convened 33 healthcare leaders for its PArtners in Mental Health Summit, where there was quick agreement about the opportunity to improve health by advancing the roles of certified PAs and strengthening partnerships to address mental health and substance use disorders. The Summit’s Proceedings & Recommendations further framed the challenges and identified four strategies for a PA mental health initiative, including opportunities to enhance educational approaches, strengthen the PA practice environment, raise awareness of PA efforts, and support a profession-wide movement. Next month, the PA Mental Health Steering Committee, including leaders from the six largest PA organizations, will convene at the Foundation’s office to share more about each organization’s efforts and envision how to further advance PA efforts to address mental health and substance use disorder needs. Check back for updates on this important initiative! Don’t miss the opportunity to join us at the first PA History Society Historian Boot Camp this September! The two-day workshop titled, “Become A PA Historian: How to Save, Study and Share the story of PAs, our History, and Legacy” has been approved for 12 credits of AAPA Category 1 CME credits. If you have a passion for PA History, we hope you will join us in September. Lunch on Friday and shuttle service to airport on Friday. Participants are responsible for their own transportation (to and from Johns Creek, GA) and hotel. A room block has been reserved at Hilton Garden Inn near the office. Please click on this special hotel link to make your reservation. The daily room rate is $175 and includes a breakfast buffet. Two $500 scholarships will be awarded to two participants who attend the Boot Camp. Priority will be given to participants who will not be receiving institutional funding. Please download the PA Historian Boot Camp Scholarship Application Form from the PAHx website (www.pahx.org). Thank you for stopping by the Society’s Booth at AAPA this month. We always enjoy hearing what history the PAs are making today! And remember, you can stay up-to-date on all things PA history by connecting with us on social media. Please be sure to “like” PA History Society on Facebook to receive weekly updates and follow us on Twitter, LinkedIn and our Blog! Kim Baker, PA-C, explains how an Observation Unit Reduces LOS, in HealthLeaders. Forbes highlights NCCPA 2017 Statistical Report in Physician Assistant Pay Surpasses $107K Annually. Emilie Thornhill Davis, PA-C, is interviewed in Why PA is the Fastest-growing Job in Medicine in the New Orleans Times Picayune. Read Helping Men Realize the Power of Preventive Medicine in Physicians Practice written by John Reel, PA-C.
Read These Health Providers are on the Rise in California in the Sacramento Bee. Georgia Health News interviews four PAs in PAs Growing in Numbers and Importance. Want to get involved? If you have a great article idea or a story to share, contact Communications Director, Mary Rittle, at maryr@nccpa.net.